I used Orly Royal Navy with a white glitter one-off I made, then DL Stop and Stare with CG Ring in the Red as the glitter topper. 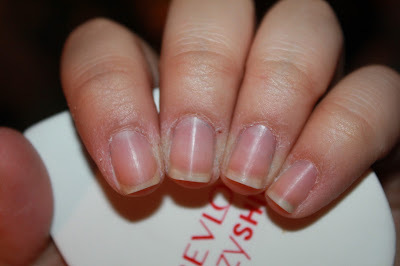 Stay tuned tomorrow for some major nail spam! Hey, all. I'm moving to a new and smaller apartment in August, but I'm also leaving for all of July starting on the 4th for a job, so for a few days, I'm having a huge clearing out sale. 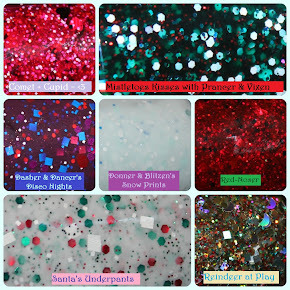 The polishes will come in groups of 5 or 6, with a mix of finishes, colors, and brands. There's lots of indies in here. These will ONLY be sold as lots, and the price is put right after. If interested, please email me at seesarahswatchnsell@gmail.com and your packages will be out by Wednesday. Shipping will be $3 for each group. I'm really looking to clear out the stash and make room, so these are going for pretty cheap. This polish.... Oh man. So stunning, but SO STAINY. I can't even handle it. 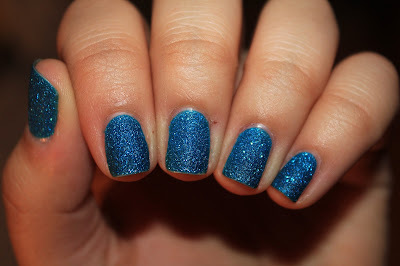 I mean, I completely love this polish and would probably wear it again, but..... not for a long time. Okay, so gaze upon the gorgeousness. DUNDUNDUNNN. This is gross. Like, what even. It would have stained my skin also, but I coated the skin around my nails with cuticle oil. Still not great, but, buffer to the rescue! 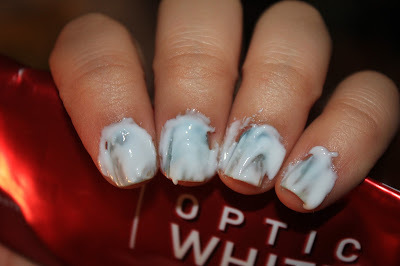 Anyone have an easier way to get stains off your nails? 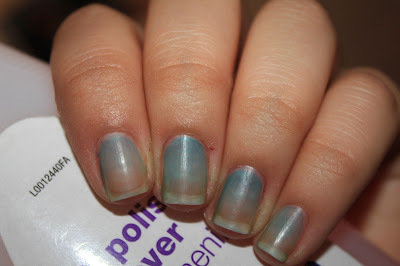 Or any other polishes that are this... stainy? 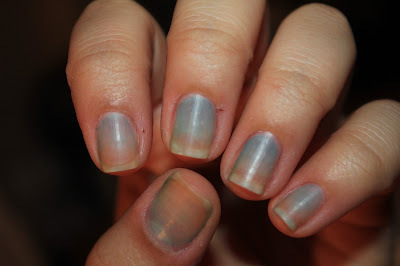 I'm the absolute worst, I've been apartment hunting and forget to publish this post, but here's Sally Hansen Sweetie for our textured nails of the day! I had 2 coats on here, and the polish went on really well, no problems with thickness or anything (though I've seen reviews that say otherwise, so I'm thinking maybe batch inconsistencies?). I like this shade of yellow a lot, and I'm still on board the whole textured train, so I was a pretty big fan of this polish:] I hear there's some new Sugar Coat polishes coming out, and I definitely have my eye on a few of them! Hey all! 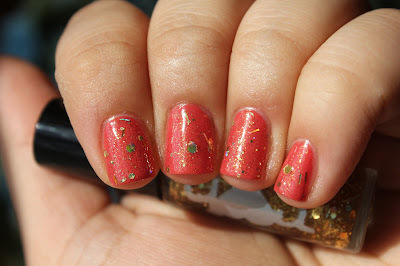 I have some wonderful polishes for you today from Rainbow Honey. These three are from the Fab Summer Set, which are sold at fab.com! The set would be three full sized polishes, though the ones I have today to show are minis. Sidenote, how cute are these new RH mini bottles? Love them. Okay, the formula on all three of these is great. I used 2 coats of the shimmers and then topped them with Costa Del Sol. Both Tenda and Schrammi covered beautifully in 2 coats, and all the polishes were super easy to apply! CDS covered and spread really well, also. All in all, super happy with all of these:] I really love the copper shimmer in Tenda and Schrammi.. so beautiful.